This supplement provides the right nutrients for supporting adequate bone mass and strength. It is formulated specifically for vegetarians and may be especially beneficial for growing teens and young adult women. Most people know that calcium intake is crucial to bone health - but sometimes we forget that other minerals and vitamins are involved in the body's process of utilizing calcium. That's why Jarrow Formulas includes ingredients like magnesium, zinc, Vitamins D and C, as well as other important nutrients. 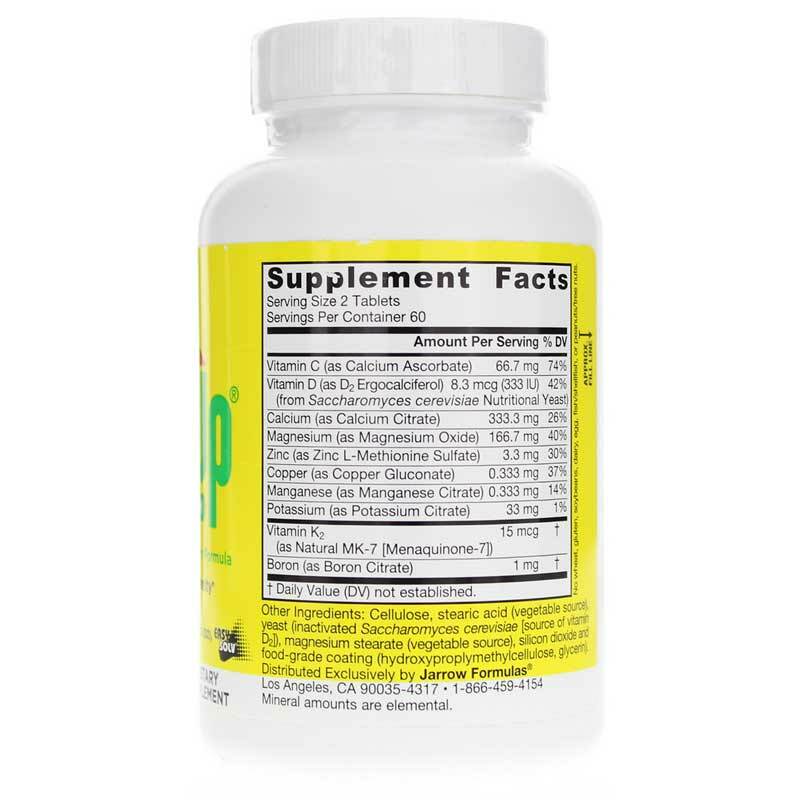 Bone Up uses calcium citrate as the vegetarian/vegan friendly form, and for optimal absorption. 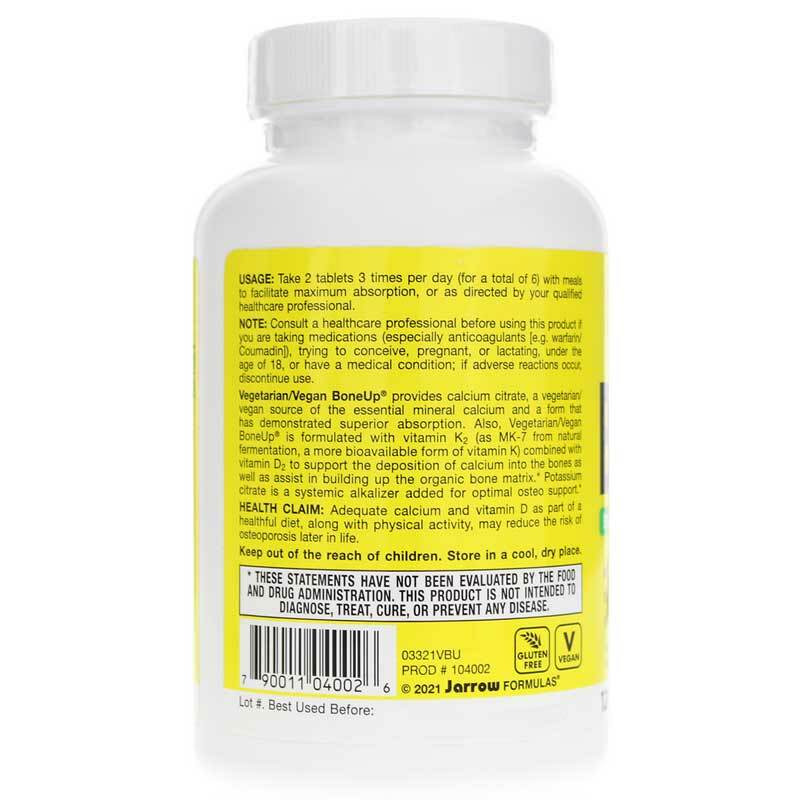 It is also formulated with Regenasure, a vegetarian source of glucosamine, MK-7 (an advanced form of Vitamin K2) and Methylcobalamin (Methyl B12). It does not include Microcrystalline Hydroxyapatite (MCHA) (from free-range Australian calves), which is an ingredient of non-vegetarian Bone-Up. 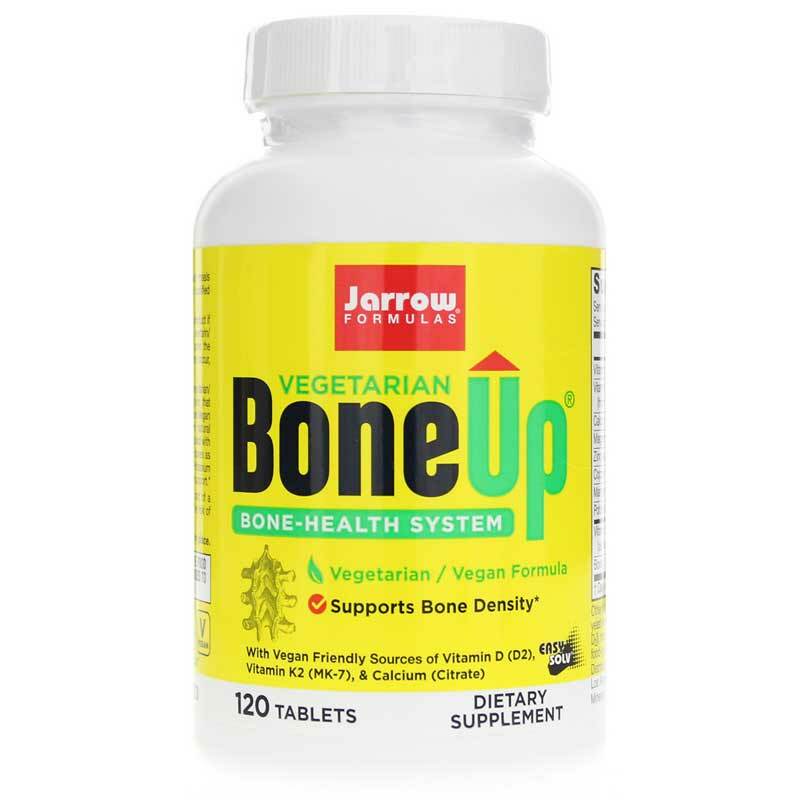 Order Vegan-Friendly Bone-Up from Jarrow Formulas today! Other Ingredients: cellulose, stearic acid (vegetable source), yeast (inactivated Saccharomyces cerevisiae [source of Vitamin D2]), magnesium stearate (vegetable source), silicon dioxide and food grade coating. Mineral amounts are elemental. Contains NO: GMOs, wheat, gluten, dairy, egg, fish, shellfish, peanuts, tree nuts.